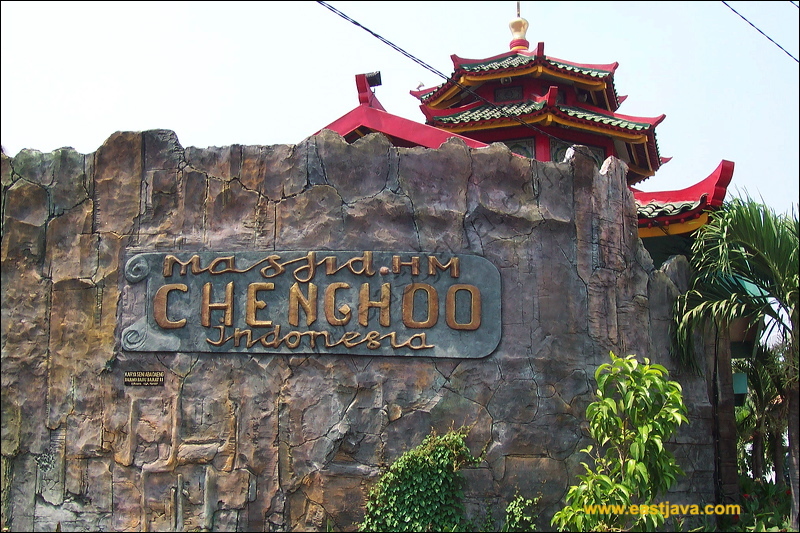 Cheng Hoo Mosque is a Chinese Muslim nuanced Mosque located at Jalan Gading, Genteng, Surabaya, Â±1.000 m north of Surabaya City Hall Building. This mosque was founded on the initiative of the Elder, advisors, administrators PITI, and management of the Foundation Haji Muhammad Cheng Ho Indonesia of East Java and Chinese community leaders of Surabaya. The construction of the mosque was started with the laying of the first stone on October 15, 2001 to coincide with the Isra 'Mi'raj Prophet Muhammad. While the construction was carried out on March 10, 2002 and was opened for public on October 13, 2002. Cheng Ho Mosque, also known by the name of Muhammad Cheng Ho Mosque, is mosque which the building designs resembles a temple (house of worship of Tri Dharma). The mosque is mostly colored with red, green, and yellow. The ornaments are rich of antique Chinese influence. 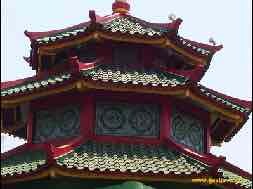 The entrance resembles the shape of the pagoda, there are also reliefs of dragons and lions made of wax with â€˜Allah â€˜written in Arabic letters at the top of the pagoda. The name of the mosque is a form of respect for Zheng, a Chinese Admiral Muslim. During his travels to Southeast Asia, Zheng did not only trade and made friendship, also spread Islam. Muhammad Cheng Ho Mosque can accommodate about 200 worshipers. Muhammad Cheng Hoo Mosque stands on a land area of 21 x 11 square meters with a building area of 11 x 9 meter main square. Muhammad Cheng Hoo Mosque also has eight sides at the top of the main building. The size or number has meaning; number 11 for the size of the Kaaba when newly built, symbolizing the Wali Songo number 9 and number 8 symbolizes Pat Kwa (luck / glory in Chinese language). 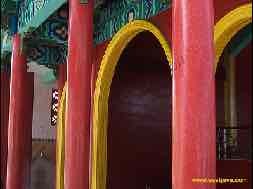 Cheng Ho Mosque architecture is inspired by Niu Jie Mosque (Ox Street) in Beijing which was built in 996 AD. Niu Jie mosque influences can be seen from the design of the top, or the main roof, and the crown of the mosque. The rest are of the combination of Middle East architecture and local Java culture.